We were in Chicago last week for a client program. We were at a high-end luxury hotel. The service was exceptional, the food was good, the bedrooms were comfortable and the meeting space was perfect for our group. Good all-around with one huge exception - it was one of those hotels that charges you to use the electricity coming out of the wall. Of course, this is not a new issue nor is it limited to Chicago. On a recent program in San Francisco a unionized worker tried to explain to us that we were in fact taking away a job from an employee by plugging in our own registration equipment. I completely understand the position of the venue to have policies in place in the interest of safety or law, or in order to avoid misuse. This is fair and reasonable - but we are not talking about rigging thousands of pounds of amps ourselves or about us getting up on a scissor lift to hang Leko lights – we are talking about plugging a laptop computer and basic printer into a pre-existing wall socket. What’s next – will there be a pad lock on the light switches in each meeting room – a pay as you go rate on power? Unions are in the business of fighting for worker’s rights – that is not going to change anytime soon. It is very rare to find a hotel or convention center without unionized staff – so how do we fight for the rights of our clients while respecting the union rules? The detective work has to begin at the RFP (Request for Proposals). Ask all your questions up front at this stage before even entering into contract negotiations. Ask for a list of all preferred suppliers. Ask about exclusive suppliers and the penalties incurred for bringing in your own supplier. Some exclusive in-house AV providers force you to pay for their head technician to just shadow your AV technician. Ask whether the hotel uses union labor (and which departments). If so, make sure you know the hotel’s labor policies so you don’t run into extra fees. For example if the housemen are unionized, this could result in extra labor charges for room flips overnight. Ask about Internet charges. (For me this is the greatest variable and we see the prices for this fluctuate greatly from city to city and even property to property within one city – there is no standard.) You can try to at least get internet charges waived for your office, general session room or registration desk. Ask about taxes, surcharges and gratuities. If working with a convention center you should ask for the facility’s operating policies & procedures manual to review fees and policies that are not always apparent when booking the space. These come to light only after the contract is signed. If you wait for the contract stage to find out about preferred suppliers and unionized regulations, you might be too far down the road to turn back. When all this information is collected during the RFP process, you then have the KNOWLEDGE you need to negotiate your own clauses into the contract. It also ensures you are getting the best possible price and service by preserving your right to shop around. Don’t get left in the dark – know your stuff and make your venue choice based on all the right information! If you like this blog posting – check out the March 4, 2011 (Loving Contracts) for more helpful tips. We all know that the behind-the-scenes crew of sound, lighting and special effects, rarely gets the praise they deserve but I was so blown away by the Queen’s Jubilee Concert this past week that I had to give a big shout out to all the amazing talent involved with this incredible event. The world (literally, since millions watch on broadcasts from around the world) descended on Buckingham Palace, while millions more jammed the Mall and surrounding parks, watching the concert live on giant screens. The concert was organized as a joint venture between the BBC (British Broadcasting Corporation) and Take That singer-songwriter Gary Barlow, who spent two years planning the event. I was a bit surprised the BBC’s involvement was so extensive (Let us just say that I never thought it would be what a "weary" national broadcaster would do best). I was wrong – the event was anything but lackluster. Understandably the Queen wore earplugs. Her tastes lie more with the best of classical music which also played a big part at the concert, in the form of opera star Alfie Boe, soprano Renee Fleming and virtuoso pianist Lang Lang. Mark Fisher - who has toured with the Rolling Stones and U2, putting together their monumental stage shows - was responsible for the event’s staging and lighting, including the specially constructed theatre-in-the-round stage with canopy that was built incorporating the Queen Victoria Memorial in front of Buckingham Palace. Meanwhile, pyro technician Michael Lakin who is the firework director at Starlight Designs from London was the man at the controls for the incredible final four-minute fireworks display using some 4,000 fireworks, fired off in 2,000 individual cues. Both men are well-known events professionals at the very top of their respective games, staging events across the globe for the world's biggest organizations and acts. Small photos would not do this spectacle justice, instead I found this great article from the UK’s Daily Mail that has a wide assortment of photos showing the fireworks, the screens up the Mall, the incredible stage and the projection on Buckingham Palace. I can’t wait to see what London pulls off for the Olympics! Cakes and celebration have been synonymous for centuries. Never out of fashion, a cake can add merriment to every occasion (even corporate events). So how do you get the most "bang for your buck" when incorporating a cake into your next celebration? Don't just limit it to anniversaries; think about including a cake for new product/company launches or initiatives, grand openings and other special milestones like adding a new franchise location. Make it memorable – the designs are limitless these days (I have seen everything from telephones to elephants to custom cars to hot dogs, all life-like and deliciously edible. One of my favorite sites for inspiration is heatherbarranco.com/ out of New York. Her creations are works of art. Parading in a cake is a bit too 80s for me and rolling in a cake for a cutting ceremony requires precise timing and pre planning. Instead, make the cake a focal point of your event room – a location where everyone will be able to see it (let them gush over it and take photos). Let’s not forget about the cake’s little sister – the cupcake’s popularity is still going strong. There's something so whimsically childlike about unwrapping a cupcake, getting frosting on your nose as that first bite melts in your mouth. Oh and one more thing when it comes to this sweet battle - if you think cupcakes will save you money, think again. Remember cupcakes are just as much work - if not more - than a traditional cake. Every single one of those suckers has to be baked and iced and decorated. What you get with cupcakes is the flexibility to serve a variety of flavors and textures. You can create cupcakes in any theme. For instance, if you are doing a 60’s party for a corporate anniversary party, you may want to serve food indicative of that decade. You can also take a more traditional “old-fashion” dessert like Baked Alaska and put a modern twist on it by serving it in a cupcake version (TV drama “Mad Men” has prompted retro-themed parties that often include Baked Alaska on the menu giving this nostalgic dessert a rebirth in popularity by adding 21st century flare making it fresh and new. Even cupcake liners offer a variety of prints- from leopard to floral to plaid - matching any theme. A fairly recent trend I see more and more these days is the cake lollipop. Basically cake pops are small cake balls on lollipop sticks. They are made by mixing cake crumbs with icing, rolling into balls, dipping in melted candy or chocolate, popped on a stick and decorated into many different cute shapes. Let your guests it cake (in all forms) because let’s face it, everyone can use a bit more cake in their life. Is the deadline for your Early Bird conference rate creeping up? Are you tempted to extend that Early Bird Rate? Make sales calls and send sales emails - the personal touch. It can be time consuming, but the payoff can be big. Most people had your conference on their to-do list, but reminding them why they should register today will bring it back to the top of the list. Offer to enter their details into the online form while you have them on the phone to secure the registration right away (Everyone loves being treated like they are getting a special favour). Let people in on some of the new details such as surprise guests, newly added workshops, or door prize announcements. We often see a huge increase after the announcement of a big speaker or celebrity guest. Door prize can be as simple and cost efficient as a copy of the keynote speaker’s book included with their registration. We also see a rise after we post a list of attendees to date on the website – a "Look Who’s Coming" type list that can list delegates or simply company names and organizations. I am not sure if this is a result of guilt, envy or pure peer pressure – but it works! Adding a second tier price break sometimes works better than extending an early bird deadline especially if you want to promote this on your website. If you really feel that extending a price break is needed, then consider making it in between the early and regular rate. For example, the Early Bird deadline went up by $250, then go up to $125 as an interim promo on your website. This ensures that people who registered early still get the greatest benefit. aggressive in recent days about the express Air Rail Link (ARL) from downtown Toronto to Pearson International Airport. Debate fumes mainly over anticipated cost, number of stops included on the line and the use of diesel powered trains. Yes DIESEL - seriously? I know how hard it is just to run my small business so I don’t have any delusions about being able to solve the problems of a the 2nd largest province in Canada let alone manage a deficit budget in the billions of dollars (17.7 billion to be exact). But DIESEL - seriously? Now don’t get me wrong, we need this train. If anything it is embarrassingly overdue (30 years overdue). Smaller, less popular convention destinations across the world have had some sort of mass transit to their airports for decades. Surely with so much time to create and apply a plan, more forethought could have been applied to develop a proposal to implement all-electric trains in time for the Pan Am Games, instead of the proposed electrification 5 years after the fact. The giant concrete supports for the platform that would greet these incoming trains have been in place at Pearson Airport since 2004. There has been nothing but time - to conduct studies, environmental impact assessments, project viable timelines and even encourage constructive debate across political arenas. So DIESEL - seriously? When completed, travel time between Union Station and Pearson will be approximately 25 minutes. I am sensible enough to recognize that solar power and wind turbines and magical fairy dust made from millions of tons of garden compost won’t be able to reach those speeds. But DIESEL - seriously? I do know that Ontario is a global leader in renewable energy and environmental efficiency – the province supports over 2,800+ environmental industry companies that generate approximately $7 billion in revenue employs 65,000 people. So DIESEL - seriously? Free Idea Friday is taking a break this week for the long weekend, but we still want to share some great news with you. aNd Logistix had 2 reasons to celebrate during this year’s Star Awards at the Canadian Event Industry 15th Annual Gala with wins for Best Conference (for the Canadian Association of Accredited Mortgage Professionals annual Mortgage Forum 2011) and Best Trade Show (for OCE Discovery 11). The Canadian Event Industry Awards is a national award program that recognizes outstanding achievements in Canadian special events, meeting management, conference planning and exhibition management. Celebrating its 15th anniversary is no small feat considering the ups and downs of our industry and economy - proving excellence does endure and prevail. Here is one for all the theatre lovers out there. I am on the Mirvish Productions "e-offers" email list and they have an April Fools Tradition of offering 2 for 1 tickets on some of their most popular shows. 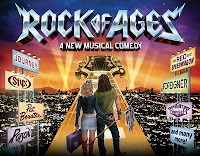 Call TICKETKING at 416 872 1212 or 1 800 461 3333 or go online by clicking www.mirvish.com for the show of your choice, choose your performance, enter Promo Code APRILFOOL and select price type Web - 2FOR1. I find inspiration in Steven Tyler…. Ideas come to me all the time – watching TV, out for a morning walk, listening to music and reading movie reviews. One client even asked if I had an auto-switch in by brain that empties out old ideas to make room for new ones. If you are looking for inspiration for themes ideas for an upcoming event, there are 2 movies out later on this year that might do the trick. Though not out until next December, the remake of the Great Gatsby movie featuring Leonardo diCaprio is already stirring up buzz. For a party theme, think opulence and allure. Black and White glossy fixtures including vases and plates can add a shine and update that old 1920’s flapper theme. Serve champagne along with white and black iced cupcakes. Adding an old style photo booth makes for a fun activity and a great keepsake of the festivities. If asking guests to participate in theme, give them plenty of choices for attire (i.e. black and white, pearls and bowties) or try to save some budget money to provide white boas or pashminas for the ladies and tweed or hounds tooth news caps for the gents. This movie is pulling out all the stops and because it stars Tom Cruise, along with a slew of other celebs, the press coverage and far reaching appeal will automatically make it the main chatter around the water cooler (and the music is awesome too). Reception Activities could include several tattoo bars, including Henna tattoos and body jewelry. The reception area could also include a glam prep area with glitter, colored spray for your hair and outrageous neon toned make-up to get wild with your look! Here is where Steven Tyler comes in. I would like to see a Steven Tyler outfit come to life as table décor. His leopard skin sequin pants as a table linen, his flamboyant ruffled shirts as a chair covers and his glittering jewelry as table bling. I will let you know when I have all the elements in place for this idea – I will make it happen! I am a big fan of venues rich in history. This weekend (March 11) marks the 83rd anniversary of the Arcadian Court and poignantly, the Hudson Bay Company, in partnership with Oliver & Bonacini Events, is undergoing a dramatic transformation of this venue that is not only rich in history but rich in tradition. I haven’t seen any photos yet (the website still only shows artist’s renderings) but I am anxious to see how this team has merged the original Art Deco style with modern day designs. The 8,000-square-foot space will be able to accommodate 1,200 when it reopens in April this year. For now, fellow admirers of this spectacular venue on the 8th floor of the Simpson Tower will soon get a glimpse of the newest L-shaped room which seats 400 and features floor-to-ceiling windows, exposed brick and striking chandeliers - all overlooking Toronto’s Old City Hall and Nathan Phillips Square. Modern conveniences include built-in screens, projectors and dimmers. March 2012 - Arcadian Loft - a new, modern conference and event facility overlooking Toronto Old City Hall. Spring 2012 - Arcadian Court - a landmark event space, originally launched in 1929, now being revitalized to restore the elegance of its time. Speaking of making history – check out this story that made it all the way to the pages of USA Today! Roy Clorey has been a bartender at the Westin Nova Scotian for 49 years, the hotel is 81. The hotel named their lobby lounge Roy’s in his honor. Nothing like a good martini to bring back memories! We’re shaking it up this week with a contribution from one of our favourite bloggers – Denise Bradbury, Director of Sales with the Westin Nova Scotian in Halifax. Denise writes regularly for the Westin Nova Scotian Blog - http://www.thewestinnovascotian.com/blog. In her most recent post, Denise explores the connection between her home city of Halifax and one of the deadliest disasters in North American Maritime history… that is right the sinking of the Titanic. April 15, 2012 marks the 100th Anniversary of the sinking of the Titanic. Halifax, Nova Scotia played a large role in the days following the disaster. We were the first port of call for many of the ships carrying survivors and wreckage. Halifax’s Fairview Cemetery became the final resting place for 150 of the Titanic’s victims, the largest number of victims anywhere in the world, and the Maritime Museum of the Atlantic has a permanent Titanic Exhibit. To commemorate the 100th anniversary, Classic Dinner Theatre Productions and RCR Hospitality have joined forces to bring Titanic: The Fated Voyage to the Cunard Centre. The dinner theatre will run April 3 – 26, 2012. I attended the media launch of this event and from what I’ve seen, it will be a great show. Set in the first class lounge of the Titanic, there will be many interesting characters, both real and fictional, to entertain the audience. The show completely sold-out runs in New Brunswick & Prince Edward Island last summer. If Halifax audiences are anything like those in NB & PEI, we could see the show return in June! Denise’s post raises an interesting discussion about commemorative events. With Halifax as the final resting place for so many lost lives of the Titanic disaster, it’s fitting that the 100th Anniversary would inspire local event organizers and production companies to build their events around this historic theme. But here is our question for YOU this week: In striking a balance between preserving the memory of an event this horrific while attracting and retaining an audience, can you stray from the morose?